Varanasi remains to be one of the most popular places to visit in India. As ancient as the city is, travelers are gravitated towards this spiritual and cultural melting pot of South Asia. Located along the banks of the holy river Ganges, Varanasi experiences a humid subtropical climate with extreme temperature differences between summer and winter. This kind of information, added to the fact that Varanasi is viewed as one of the holiest places on earth, leads to a very popular dilemma among travelers and pilgrims alike. Travelers often question what to wear in Varanasi that is comfortable yet in accordance with tradition. First, travelers would need to understand the culture of this sacred city. Situated on the forefront of Hindu Religion, Varanasi is home to millions of Hindus. It then becomes fitting for a traveler to respect and follow traditions on how to properly dress up. Fortunately, Hindus are not very strict when it comes to clothing as long as cultural modesty is followed. 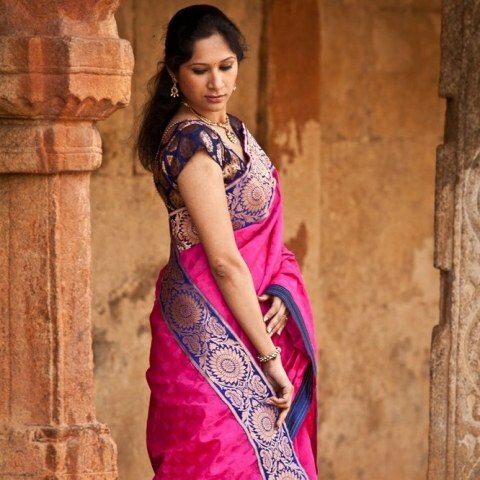 Hindu women wear the traditional sari which is a short blouse, a full length skirt, and a shawl called davani. If you fancy wearing this traditional costume, you will be happy to know that you might be required to wear it at times in order to show respect. The local men on the other hand wear simple long wide shirts and trousers. Since Varanasi is a major tourist destination, the locals have grown accustomed to how foreigners dress up. Needless to say, it pays to show respect to the holy place and dress accordingly. There is one aspect of cultural sensitivity that travelers must be aware of about Hindu tradition. Footwear that has been worn outside is not to be brought and used inside a Hindu home. It then becomes customary to leave all footwear outside homes. This is also strictly observed in all Hindu places of worship. Another thing to consider when packing for a trip to Varanasi is the time of travel. Located in the North East of India, Varanasi experiences a totally different weather from its Southern counterpart. Summer starts in April until the middle of June which translates to a hot and humid weather. During these months, you might want to bring light and airy clothes to combat the heat. A hat or a cap can also help ward off the sun as you walk around. Remember that the best way to get around the city would be on foot, on a bike, and on the famous boat ride along the Ganges River. Footwear should be light so that you can easily get around. By late June, Varanasi is subject to heavy torrential rainfall. This would then be a wild time to visit the place as the city has a tendency to get flooded even after just a few minutes of rain. If the monsoon rains will not keep you from traveling, boots, raincoats, and an umbrella would be an appropriate set of attire. Climate from October to the middle of February is a different story in Varanasi. Winter days are pleasantly comfortable with foggy mornings, so regular clothes and a windbreaker or a shawl will usually suffice. When dusk breaks, the freezing wind of the Himalayas causes the temperature to drop significantly so thick jackets and layers of warm clothing will help you keep warm. The climate in Varanasi is as diverse as its culture. Having said this, the answer to the question of what to wear in Varanasi may also be just as complicated.